Racial Equity Minnesota members offer a wide array of trainings for businesses, government agencies, educational institutions and community organizations. Customized trainings on racial equity are available to help build cultural competence by equipping people with the skills to address racial equity. 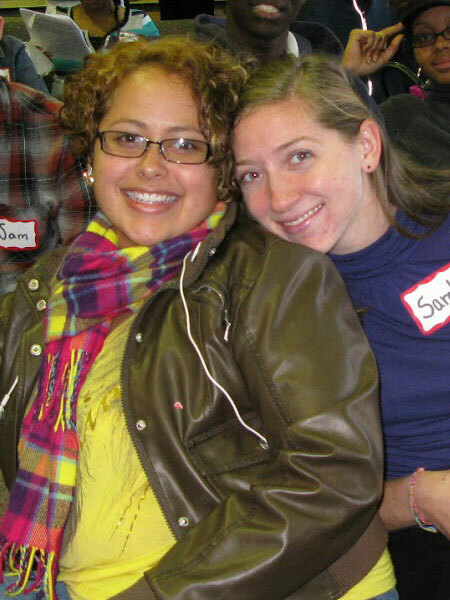 These trainings can address racial equity on the individual, structural and institutional levels by helping students, teachers, employees and institutional leaders gain the knowledge, empathy, self-esteem, critical thinking and practical skills they need to be leaders and collaborators in an increasingly diverse world. Trainings actively engage employees and students in improving their respective environments. They can advance organizations' goals around cultural competency and provide the practical resources and tools necessary to sustain racial equity change. Trainings are available in anti-racism, diversity and inclusion, bias awareness, organizational change and more. Trainings of varying lengths are available, from one-hour to multi-hour sessions. > A racial divide in a suburban community school district led to conflict between both parents and students. The YWCA of Minneapolis was called in to help staff have conversations around race in healthy, productive ways. District leaders quickly learned that these trainings would be beneficial across the entire community. As a result, trainings were offered to numerous government agencies and community organizations, resulting in community-wide understanding and healing. > A graduate school program that trains students to work in hospital and human services settings invited ASDIC to give a four-hour workshop as a module in its curriculum. The workshop helped the students understand ways that race influences assessment, interactions, findings, and treatment. Students reported that they were more able to take race into account – to be race conscious – rather than color blind, silent, or fearful about issues of race. This had an impact not only on their self-awareness but on how they responded to clients. > An industrial manufacturing company employing immigrant workers on temporary status utilizes the services of a Racial Equity Minnesota member on an annual basis. The member provides diversity and inclusion trainings for the company’s supervisory staff, consulting with company representatives prior to each presentation to insure the training meets expectations and emerging company needs. At the conclusion of each training module, assessment and fine tuning are guaranteed.